Two million more Venezuelans could flee next year - U.N.
An estimated two million Venezuelans could join the ranks of migrants and refugees next year, swelling the total to 5.3 million as the country's meltdown continues, the United Nations said on Friday, Reuters reports. Stein described the two million figure as a planning estimate for migrants and refugees leaving for neighbouring countries in the next 14 months who will need aid. "The region had to respond to an emergency that in some areas of concern was almost similar to a massive earthquake. We are indeed facing a humanitarian earthquake," he told a news briefing. 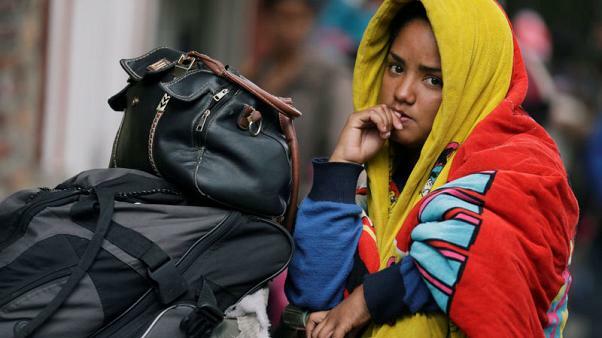 The U.N. appealed last week for $738 million in 2019 to help Venezuela's neighbours cope with the inflow of millions of refugees and migrants who have "no prospect for return in the short- to medium-term". "The reasons these people left are ranging from pure hunger to violence and lack of security ... We at UNHCR believe many have valid reasons to seek international protection," he said. Venezuelan President Nicolas Maduro blames its economic problems on U.S. financial sanctions and an "economic war" led by political adversaries. "This means focusing on access to the labour market, recognition of qualifications and also guaranteeing that the provision of social services in those countries - especially housing, health, and education - are up to the stress that derives from the newcomers," he said.